The National Science Foundation's Small Business Innovation Research (SBIR) program provides small business with equity-free funding to conduct research and development (R&D) work and de-risk technology for commercial success. The NSF SBIR program accepts innovative proposals that show promise of commercial and societal impact in almost all areas of technology. The NSF SBIR Program encourages the submission of proposals across all areas of science and engineering (except drug development). The NSF recognizes that innovation often can't be categorized. Therefore, proposals are accepted in almost any area of technology that shows promise of high commercial and/or societal impact. Involves a high degree of technical risk for example: Has never been attempted and/or successfully done before; Is still facing technical hurdles (that the NSF-funded R&D work is intended to overcome). Has the potential for significant commercial impact and/or societal benefit, as evidenced by: Having the potential to disrupt the targeted market segment; Having good product-market fit (as validated by customers); Presenting barriers to entry for competition; Offering potential for societal benefit (through commercialization under a sustainable business model). Assess commercial feasibility of the proposed innovation. The deliverable of an SBIR Phase I grant is a report describing technical accomplishments that will be included as part of the Phase II proposal package in FastLane. Previous awards of this program can be seen at https://www.nsf.gov/awardsearch/advancedSearchResult?ProgEleCode=1505,1591,5371,5373&BooleanElement=Any&BooleanRef=Any&ActiveAwards=true&#results. Examples of project objectives that are not appropriate to include as part of an NSF SBIR-funded effort are non-technical efforts (such as business development, market research, and sales and marketing) as well as manufacturing, indirect research and development, and patent costs. Project objectives that are not in line with NSFs SBIR program mandate include evolutionary development or incremental modification of established products or proven concepts; straightforward engineering efforts with little technical risk; evaluation or testing of existing products; and basic scientific research unconnected to any specific market opportunity or potential new product, process or service. Only firms qualifying as a small business concern are eligible to participate in the SBIR/STTR program. 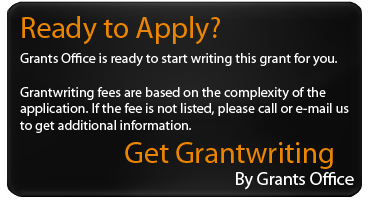 See the Eligibility Guide for more information at: http://sbir.gov/sites/default/files/elig_size_compliance_guide.pdf. Applications were to be submitted by December 4, 2018. Approximately $33,750,000 is available in funding. Up to 150 awards will be granted. Phase I proposals may be up to $225,000. Projects will extend 6- to 12-months.